Children diagnosed with Oppositional Defiant Disorder (ODD) can present a monumental challenge to therapists, teachers, parents and siblings. ODD and other conduct problems are the single greatest reasons for referrals to outpatient and inpatient mental health settings for children, accounting for at least half of all referrals. Complicating the success of therapeutic interventions is the high rate of comorbidity with anxiety and depressive disorders or ADHD. Current research also correlates a variety of cognitive skill deficits including executive function, emotional regulation, language processing, and social processing. These complicating comorbidities and correlations mean that ODD often requires multidisciplinary assessment and components of mental health care, case management, and educational intervention for students and clients to improve. This dynamic two day workshop will address a full range of behavioural disturbances, from mild to severe, in order to identify the therapeutic techniques that have proven effective. Participants will review and discuss strategies which can be immediately applied across a variety of settings including home, community, social groups, classrooms, or therapeutic. Participants will examine the intersection of ODD with a variety of issues such as trauma, ADD, learning disabilities, bipolar disorder, and depression and discuss how these affect and alter treatment decisions. Participants will leave this workshop with a much improved diagnostic and treatment approach to ODD and other behavioural disorders. Is there a medication for oppositional behaviours? 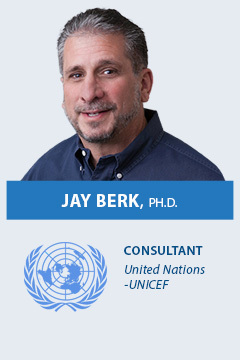 Jay Berk, Ph.D., is a licensed clinical psychologist and an internationally recognized expert in the child/adolescent behavioural field who brings both a clinical and education perspective to his work with children, adolescents and their families. For over 25 years, Dr. Berk has been treating clients with ODD, ADHD, autism, anxiety and stress, depression, learning disabilities, Tourette’s Syndrome and individuals who have Autism Spectrum Disorder. He conducts 15 social skills/mental health groups for children and adolescents and works daily with school and community professionals, families and parents. Dr. Berk continually consults for several school districts. In his private practice, in Beachwood, Ohio, he provides therapy for children, adolescents, families, testing and evaluation, school consultation as well as designed and facilitates alternative educational program..
Fees do not include applicable taxes (15% HST). To receive the early bird rate, registration and payment must be received by Friday, May 24, 2019.